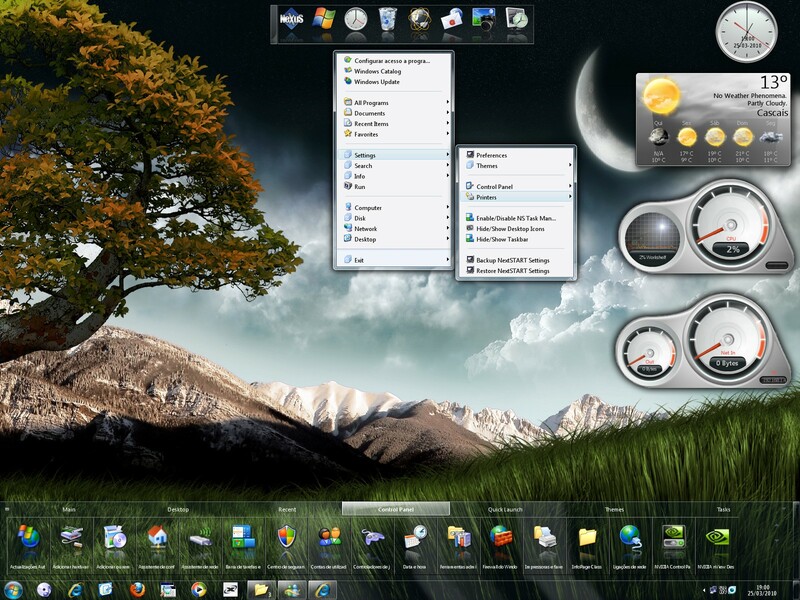 Winstep Forums • View topic - Winstep releases Winstep Xtreme 7.9! Winstep releases Winstep Xtreme 7.9! Post subject: Winstep releases Winstep Xtreme 7.9! Winstep is proud to announce the release of Winstep Xtreme v7.9 Final. Winstep Xtreme is a complete integrated Desktop Environment featuring the next generation of award winning Winstep user interface enhancements. You can download the new Winstep Xtreme 7.9 version from HERE. Faster startup times: Winstep applications now initialize much faster than previous versions! Improved Module Performance: The display of desktop and in-shelf modules has been fully optimized to use as little CPU as possible. New default sounds: The previous default sounds were replaced with a less intrusive and cooler set of new sounds. CPU Module support for multi-processors: The CPU meter module now properly supports multi-processor systems. NeXuS Tasklist icon blink: NeXuS tasklist icons now blink when the associated application needs your attention. Weather Forecast on Desktop Weather Module: The desktop weather module is now capable of displaying the 5 day forecast on the module itself (note: this feature is theme dependent). Previously the forecast was displayed on the information tooltip only. Improved Windows Vista support: the new versions fix some issues on Windows Vista 32 bit. There are lots of other additions and fixes in this awesome new release. You can see a complete list of changes to the WorkShelf and NeXuS component of Winstep Xtreme HERE and to the NextSTART component HERE.